What kind of job could I get – and how soon – with an NC State Communication degree? 37% got jobs in one-to-six months after graduation (the highest percentage in the College of Humanities and Social Sciences). pointed to particular courses in our undergraduate curriculum, which he explains helped him learn and develop ways to attract donors and raise money for his non-profit organization. How much, and what type, of writing is required for Communication majors? Most communication courses have writing assignments that include personal reflections, journal entries, research reports, literature reviews, position papers, online discussion posts, blogs, Website content, and essay exams. Students in Communication Media take COM 267: Writing for Media, a pre-requisite for all production courses. Other specialized writing courses for media production include writing for film, blogs, radio, and news. Students in the Public Relations (PR) concentration take six credit hours devoted to writing: an English course (ENG 214: Introduction to Editing that is 3.00 credit hours) and a Communication course (COM 316: PR Writing, also 3.00 credit hours). COM 476: PR Campaigns, is the capstone course for the PR concentration and requires writing a campaign proposal for an actual client. Many PR students enroll in COM 336: Newsletter Writing and Production in which they learn first-hand the art of creating newsletters for corporate, non-profit, government, and small businesses. In the Interpersonal, Organizational, and Rhetorical Communication concentration, COM 321: Rhetorical Theory and COM 411: Rhetorical Criticism are writing intensive. What work skills do typical Communication graduates take with them into the workforce? NC State graduates must be prepared to play leadership roles in North Carolina’s ongoing development as a rich and diverse state. In order to play such a role, our students must become critical thinkers, capable of insightful analysis and creative solutions to the complex challenges facing today’s networked, global society. Communication students become reflective and proactive about shaping communication infrastructures, networks, interfaces, and software—as well as the traditional media of film, television and radio. From both the economic and the social standpoint, the contributions of our Department are central to the future development of the State. Critical analysis and creative forms of expression in numerous media environments. Manage conflict and be sensitive to the influences on communication such as culture, personality, education, and income. Techniques to design a communication campaign from research to evaluation. How many students sign on to do internships? Approximately 38 students per semester find excellent local or out-of-state internship opportunities, gaining practical experience to add to their résumés. In a recent senior survey, 27% of our students said their internships were important in being hired in their first jobs (above the Humanities and Social Sciences college mean of 18%). Students can earn up to 3.00 hours of course credit through COM 496: Internships. 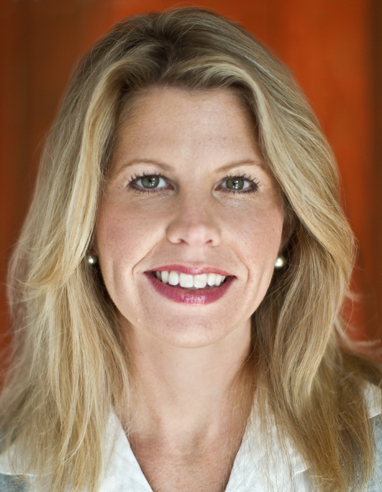 ​Shelley Kelly, CEO and co-founder of the strategic marketing firm Mottis (fomerly Kelly MarCom), was named one of the Triangle Business Journal’s “Top 40 Under 40” for 2007. She has also been honored with the 2005 “Women in Business” award from the Triangle Business Journal and the 2006 “Sanford Area Chamber of Commerce Small Business Owner of the Year” award. In 2010, Shelley was honored as a Stevie Award Finalist – and international business competition that recognizes women who have made contributions both in business and the community. Do Communication majors typically volunteer? Several communication courses include service-learning opportunities for undergraduate and masters students, and of course, students gather to participate in their free time to help within the University and around the Raleigh area. Many of these student volunteers reported that their community service projects had an impact on their commitment in helping to improve society.